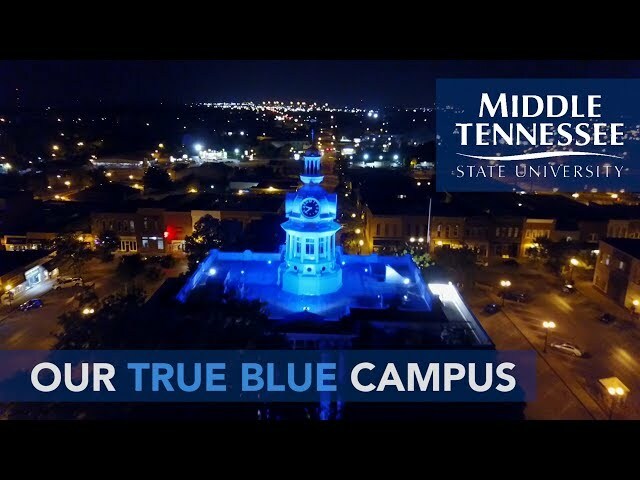 If animals interest you and you’d like to learn about them in a hands-on, science-based curriculum under knowledgeable and friendly faculty, consider Animal Science at MTSU. Students explore the science, performance, and business of domestic food, fiber, and companion animal species, including beef cattle, dairy cattle, sheep, horses, goats, swine, poultry, and companion animals. Included also are disciplines such as nutrition, reproduction, genetics, behavior, meat science, management, health, and biotechnology. Animal Science students have the opportunity to “learn by doing” working with herds of beef cattle, swine, and dairy cattle at farm laboratories. In addition, several extracurricular animal-related student organizations, including the Block and Bridle Club, the Dairy Science Club, the Pre-Vet Society, and the Horseman’s Association, provide unparalleled opportunities for involvement. MTSU's state-of-the-art dairy farm is responsible for every drop of milk served on campus. Home to the University's herd of about 70 dairy cows (and capable of housing up to 125), the teaching and production facility features a double-eight parallel milking parlor with rapid-exit gates that can milk 16 cows at a time. A computer-controlled milking system precools the milk to 58 degrees before it enters a 2,000-gallon bulk tank where it is cooled further to 38 degrees. Founded with the goal of promoting animal agriculture and enhancing the professionalism of students who will one day be leaders in the industry, MTSU's local chapter of the Block and Bridle Club has around 40 active members. Each year the club hosts a steer and heifer show, a beef camp, and many other events. Undergraduates in the Animal Science program can pursue a Bachelor of Science (B.S.) degree, following the industry path to pursue a career in animal science after graduation, or choose to follow the pre-veterinary medicine path of study in preparation to apply for admission to a college of veterinary medicine. Also available is a B.S. with a concentration in Horse Science. Other majors in the School of Agriculture leading to a B.S. are Agribusiness and Plant and Soil Science. Students may also take courses in pursuit of an Agricultural Education Certificate. Undergraduate and graduate minors are available in Agriculture. The program leading to a major in Animal Science offers preparation for leadership careers in livestock and related industries. Focuses on applied learning concepts presented at the introductory animal science level. Topics include livestock, poultry, and companion animal breed identification; animal nutrition, feeds, and forages; reproductive science and management techniques; animal breeding and genetics; and basic experiential aspects of beef cattle, dairy cattle, swine, sheep, goats, horses, poultry, and companion animal production and management. Prerequisites: ANSC 1410; BIOL 1110/BIOL 1111, BIOL 1120/BIOL 1121; junior-level classification or higher. Basic principles of genetics, crossbreeding, inbreeding, and molecular genetics. Animal breeding topics include use of quantitative traits, prediction of breeding value, methods of selection, and genetic evaluations including genomic-enhanced selection. Offered fall only. Prerequisites: ANSC 1410/ANSC 1411; junior-level classification or higher. Focuses on practical application of nutrition to the feeding of domestic animal species. Topics include identification and characteristics of common feedstuffs; computer ration formulation procedures; life cycle nutritional management of beef cattle, dairy cattle, swine, small ruminants, poultry, and companion animals; feed stuff composition analysis procedures; feed processing, evaluation, and grading; feed control laws; and nutrition research methodology. Prerequisites: ANSC 1410; CHEM 1020/CHEM 1021 or CHEM 1120/CHEM 1121; junior-level classification or higher. Advanced study of the processes of digestion and nutrient utilization in domestic animal species. Topics include monogastric and ruminant digestive anatomy and physiology; carbohydrate, lipid, protein, vitamin, and mineral utilization. Lecture/lab. Prerequisites: ANSC 1410; BIOL 1110/BIOL 1111, BIOL 1120/BIOL 1121; junior-level classification or higher. Advanced study of the anatomy, physiology, and endocrinology of reproduction in domestic animal species. 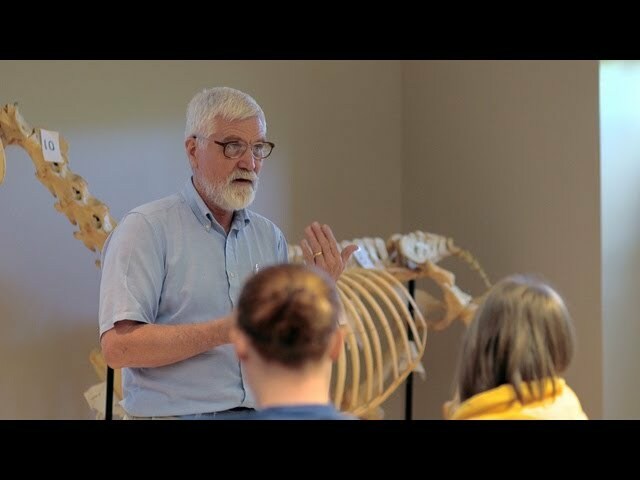 Topics include male and female reproductive anatomy, hormonal control of reproductive processes, reproductive development, the estrus cycle, male physiology, and lactation. Current techniques to control animal reproduction described. Lecture/lab. Offered Spring only. Prerequisites: BIOL 1110/BIOL 1111 and BIOL 1120/BIOL 1121 or BIOL 2010/BIOL 2011 and BIOL 2020/BIOL 2021. Concepts and techniques pertaining to the morphology, physiology, reproduction, isolation, cultivation and identification of microorganisms with particular emphasis on bacteria. Topics include the impact of microorganisms in our daily lives, both adverse and beneficial. Background in General Chemistry is strongly recommended. Three hours lecture and one three-hour laboratory. Prerequisite: CHEM 1020/CHEM 1021 or CHEM 1120/CHEM 1121. Corequisite: CHEM 2031. Aspects of organic chemistry fundamental to an understanding of reactions in living organisms. Three hours lecture and one three-hour laboratory. Prerequisite: CHEM 1120/CHEM 1121 or equivalent. Corequisite: CHEM 3011. Types of carbon compounds, their nomenclature, reactions, and physical properties. Three hours lecture and one three-hour laboratory. Choose one course from General Education Math and one course from MATH 1530, MATH 1710, MATH 1720, MATH 1730, MATH 1910, or ABAS 2210. *Electives must come from the following courses: HORS 3430, ANSC 3450, ANSC 3470, ANSC 3480, ANSC 3490, ANSC 3500, ANSC 3540, HORS 4090, ANSC 4260, ANSC 4470, ANSC 4490, ANSC 4520, ANSC 4860. Animal Science, Agricultural Education Certification, B.S. Animal Science majors seeking certification to teach agricultural education in secondary schools (grades 7-12) must complete (1) the Animal Science major, (2) a MTeach minor, and (3) professional agricultural education courses. See MTeach for further information. *Electives must come from the following courses: HORS 3430, ANSC 3470, ANSC 3480, ANSC 3490, ANSC 3500, ANSC 3540, HORS 4090, ANSC 4470, ANSC 4490 , ANSC 4520, ANSC 4860. Students who wish to pursue admission to a professional DVM program should follow the appropriate minimum admissions prerequisites for the institution(s) to which they intend to apply. The following curriculum will satisfy the admissions requirements for many, but not all, colleges of veterinary medicine. It is imperative that interested students fully apprise themselves of the specific admissions requirements. Prerequisite: CHEM 3010. Corequisite: CHEM 3021. A continuation of CHEM 3010. Three hours lecture and one three-hour laboratory. Prerequisites: BIOL 3250/BIOL 3251, BIOL 2230/BIOL 2231, and CHEM 2030/CHEM 2031 or CHEM 3010/CHEM 3011. Corequisite: BIOL 4211. Cellular morphology and function. Three hours lecture and one three-hour laboratory. Prerequisite: CHEM 2030/CHEM 2031 or CHEM 3010/CHEM 3011. Corequisite: CHEM 3531. Structure, properties, and functions of carbohydrates, lipids, proteins, and nucleic acids and their reactions in living organisms. Three-hour lecture and one three-hour lab. Does not count toward Biochemistry major. Corequisite: CHEM 3530. Lab to accompany CHEM 3530. One three-hour laboratory per week. *May include English literature, speech, music, art, philosophy, religion, language, history, economics, anthropology, medical vocabulary, political science, psychology, sociology, and geography. **Should have had organic chemistry plus BIOL 1110/BIOL 1111, BIOL 1120/BIOL 1121, and BIOL 3250/BIOL 3251 prior. ***MATH 1710 and/or MATH 1720 should be taken if student needs background for Physics. The above requirements represent the minimum. Those students with inadequate knowledge of and experience with food and fiber species should highly consider taking additional courses in the animal sciences. Most students accepted into a professional DVM program first complete the B.S. degree in Animal Science at MTSU.